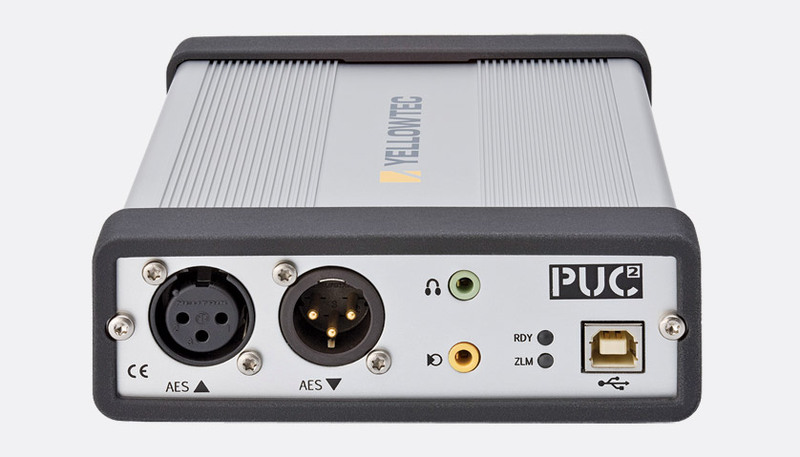 The PUC2 series are USB-powered, outboard sound cards, for use with PC or MAC computers. 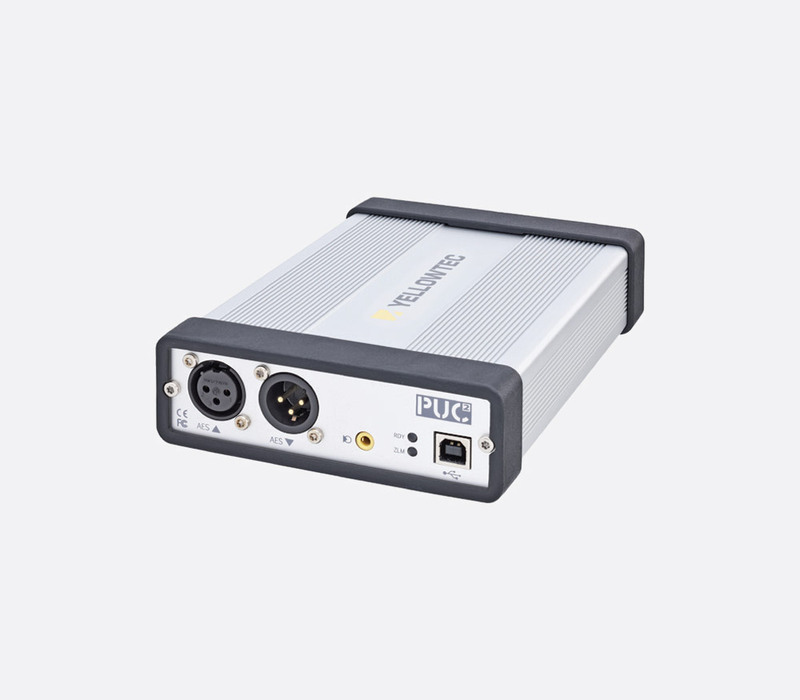 Applications include as a PC interface to professional audio systems and as an interface to digital and analogue mixers, near-field monitors and level meters. The connection is via USB2, and full-duplex, simultaneous, record and play connections are possible up to 192 kHz, 24-bits. There are three versions available, all offering the AES3 interface. 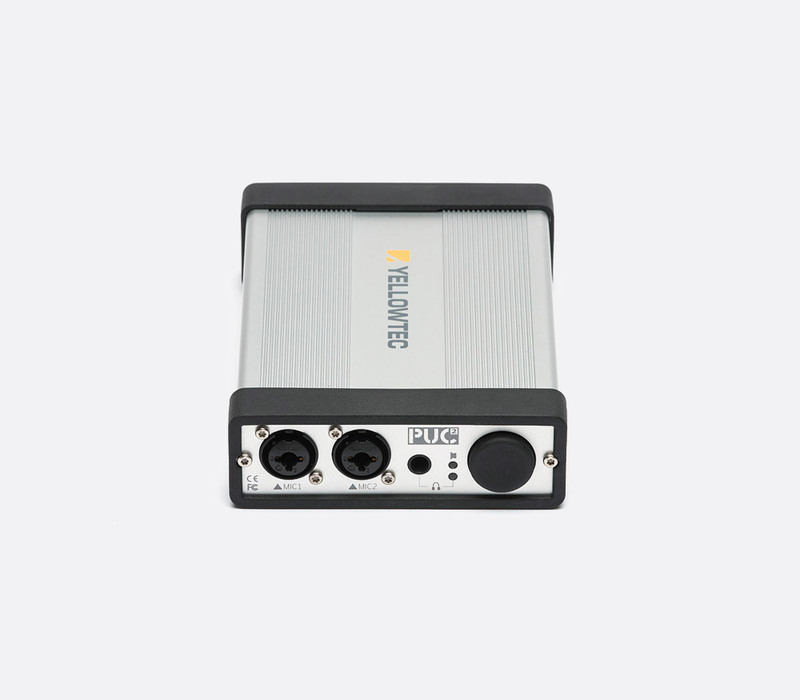 The PUC2 model also offers analogue line level inputs and outputs; the PUC2 Mic LEA offers balanced microphone inputs with phantom power or balanced line inputs instead. 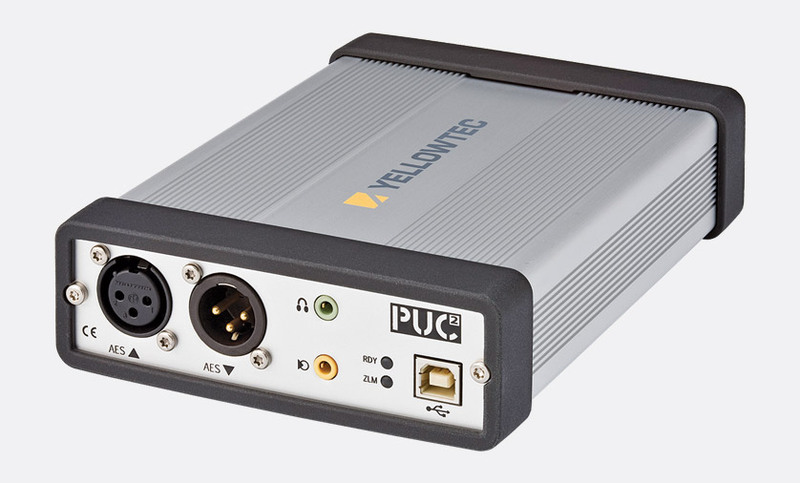 The PUC Lite offers no analogue audio I/O. The AES input is the default audio input. This input will override any other inputs (for example from the analogue inputs) when a digital input carrier is detected and locked, even if there is no active audio in the digital stream. The audio signal is converted into a USB format and available to any audio recording application on the computer. The AES output is always active at the sample-rate selected by the application running on the computer. Zero Latency Monitoring (ZLM) allows the user to monitor the PUC2 input signal directly at all of its outputs simultaneously. This bypasses the USB conversion and computer, offering very low input to output times, typically less than 5ms, even at low sample rates. This can be turned on by closing the tip and sleeve (ground) contacts on the ZLM switch jack on the unit, a 3-pole, 3.5mm type. The USB sound output of the computer is mixed into the input signal and, by default, both signals are reduced in level by 6dB to avoid overloading the output stages. This automatic level adjustment can be over-ridden by connecting the ring and sleeve (ground) contacts on the ZLM switch jack, or by using a mono 3.5mm jack or dummy plug to switch on ZLM mode. Installation is automatic. The PUC2 is connected to the PC with an included USB 'Y-Lead' which requires two USB connections to the PC in order to transfer sufficient power. The computer should recognise the PUC2 as a new USB device, and can then use it in native mode. Virtual fader input control software is included. In order to use sample-rates above 48kHz, ASIO or WDM driver drivers may be needed for Windows, available from the Yellowtec website. Compatibility: MAC OS 9 or higher, Windows XP (with Service Pack 2), Windows Vista (32-bit version, 64-bit available soon) and Windows 7. Audio input: +18dBu maximum for 0dBFS, balanced (PUC2); +18dBu max, microphone level 1.2k ohms, line level 10k ohms (PUC2 Mic). Audio output: +15/+18dBu, switchable (PUC2); adjustable volume, headphones up to 600 ohm (PUC2 Mic). Sample rates: 44.1 to 192kHz (ASIO or WDM driver may be required for rates above 48kHz). Analogue to digital response: 20Hz- 20kHz, +/- 0.2 dB, +15dBu. Linearity: +/- 0.1dB, 15dBu to -80dBu. Distortion: -107dB THD, 1kHz, 0dBu. Noise: Better than -105dB. Digital to analogue response: 20Hz - 20 kHz, +/- 0.2 dB, 0dBFS. Linearity: +/- 0.1 dB, 0dBFS to -100dBFS. Distortion: -100dB THD, 1kHz, -15dBFS. Noise: Better than -103dB. Jitter: Less than 0.010 UI. Dimensions: 180 x 126 x 41(l x w x h)mm. Weight: 600g. This has two channel AES3 in and out via 3-pin XLR connectors and does not have any analogue audio I/O. This has been designed for those who wish to have the PUC2 functionality but only wish to use it on a digital platform. The extruded aluminium case has protective rubber bezels at each end. The front plate has two XLR connectors for the AES/EBU digital audio inputs and outputs. A three-pole, 3.5mm, jack socket provides the auxiliary output for monitoring and can be used to drive a set of headphones, without control of the output level. A second jack socket is used for controlling the ZLM function. Two LEDs indicate when the unit is connected to the computer correctly and when the ZLM function is active. A USB socket provides the connection to the computer. The back plate has four XLR connectors used for stereo analogue line-level audio inputs and outputs. The outputs are always active, but the analogue inputs are disregarded when an AES input, on the front plate, is present and locked. 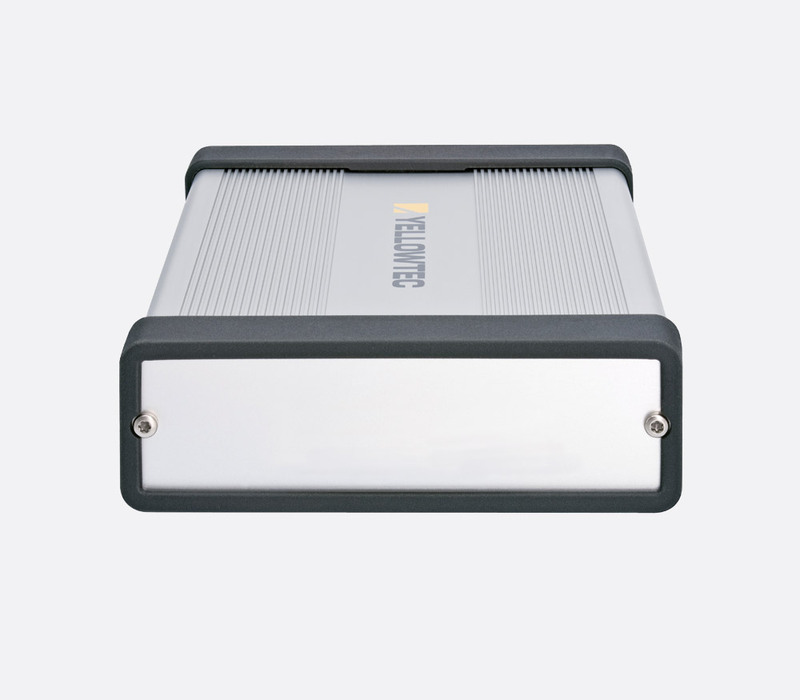 The extruded aluminium case has protective rubber bezels at each end. The front plate has two XLR connectors for the AES/EBU digital audio inputs and outputs. A 3.5mm jack socket is used for controlling the ZLM function. Two LEDs indicate when the unit is connected to the computer correctly and when the ZLM function is active. A USB socket provides the connection to the computer. 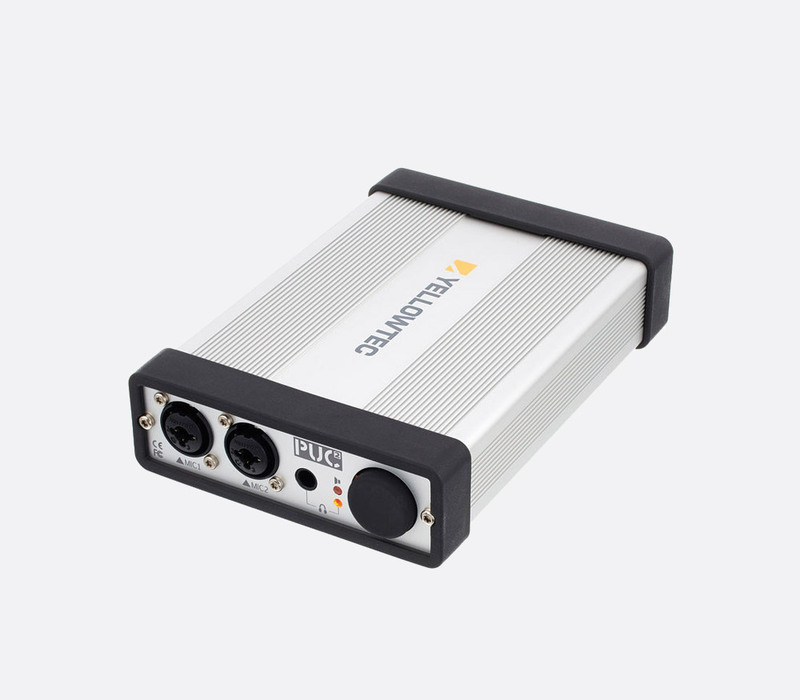 The back plate has two combination female 3-pin XLR and 6.35mm jack connectors for the balanced microphone-level (XLR) or balanced line-level (jack) audio inputs. Control of these inputs are via faders within a bespoke piece of software which is included. A three-pole, 6.35mm jack socket provides the auxiliary output for monitoring and can be used to drive a set of headphones, with control of the output level.